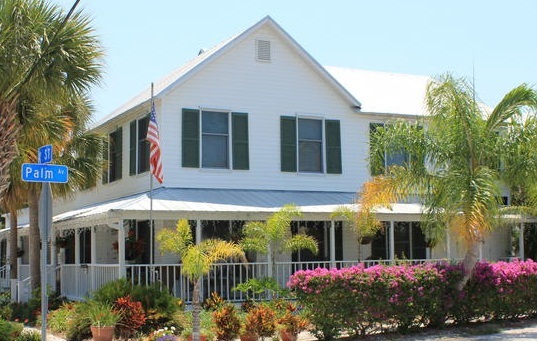 Make your stay in Southwest Florida an historic one at Boca Grande's secluded island hide-away, the Anchor Inn. The Anchor Inn was built in 1925, a full restoration was completed in 2005 and the Inn has enjoyed many, many updates that continue to this day. The Inn offers four elegantly appointed suites ranging from studio, one bedroom and two bedroom units. All are tastefully furnished and have complete kitchen and dining facilities, private entrances and convenient access to our secluded tropical plunge pool courtyard and traditional Old Florida sitting porches. 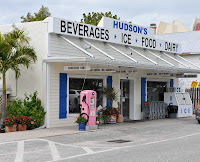 An island landmark since 1925. 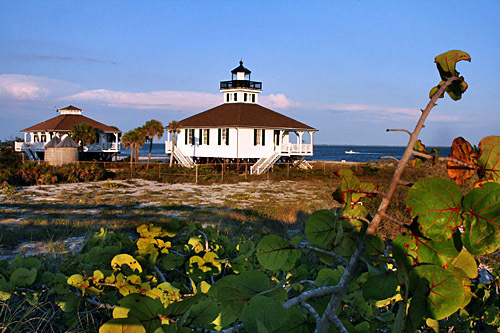 Boca Grande's historic village is located five miles south of the swing bridge and causeway and two miles from the Boca Grande Lighthouse and Museum to the south. Boca Grande is a village without a stop light, and no doorstep mail delivery. It's a state of mind as much as a place. The Anchor Inn is located in the heart of the Historic District and is within easy walking distance of restaurants, boutique shopping and the Gulf of Mexico. Golf carts are the preferred mode of transportation to all points of the island. Gasparilla Island remains an undiscovered tropical escape. In less than two square miles, it combines uncluttered beaches, outstanding fishing, a multitude of wildlife, lush tropical landscape and a small village that caters to those who have chosen its way of life. The island was first settled in the late 1800s. In the early 20th century, it was a haven for pioneering settlers and vacationers that have, for generation after generation, made and kept Boca Grande a special place in their hearts. Through the wonderful efforts of many of these people Boca Grande remains a well preserved island and village paradise of years gone by. Gasparilla Island is conveniently located in southwest Florida with shopping, entertainment, and a variety of beach and outdoor activities to make your visit to Boca Grande one you will cherish forever. 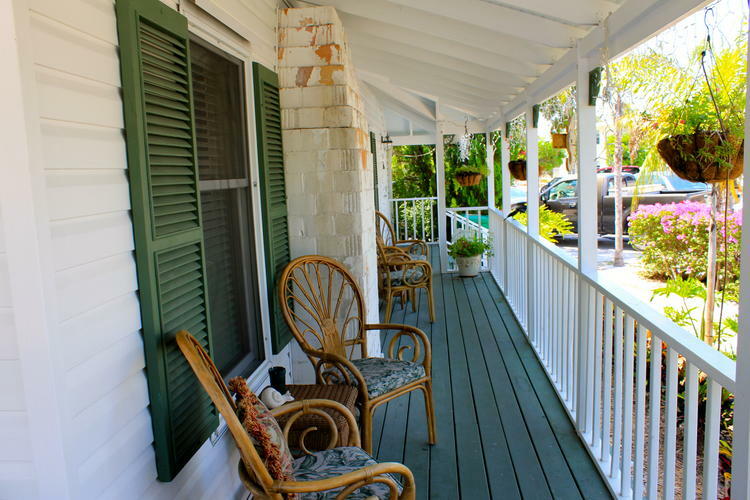 You will find a wealth of information here at anchorinnbocagrande.com to help plan your stay on our island. Spend a few minutes with us. You're also welcome to give us a "like" on Facebook. You'll find a comprehensive collection of links to just about everything Boca Grande. And, of course, there's our (unofficial) visitors guide to the island where we share a few local "secrets" about this truly remarkable place in the sun we call home. We also encourage you to check out the Anchor Inn's reviews on TripAdvisor.com. Questions? The folks at Parsley-Baldwin Realty will be happy to help. Just give them a call at 941.964.5600. Here's a brief video tour of the Anchor Inn. We think you'll agree that it's the perfect "Island in the Sun" hide-away. Next best thing to being here. But being here is much better. So why not spend your next vacation at the Anchor Inn and Boca Grande, Florida. It's a happy place. Just like the song says. Give us a call at 941.964.5600. Check out our Facebook Special! 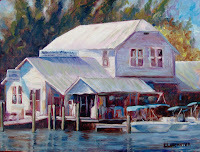 Our new Facebook page is a great way to keep up with what's happening at the Anchor Inn and in Boca Grande. Click the button, stop by, give us a "like" and check out our special offers. You won't find this visitor's guide anywhere else. Where do locals go to do breakfast and the beach? And just about everything else you want (and need) to know about Boca Grande. Just click on the pink gas pump. Check out our video tour of the Anchor Inn. Click on the vid screen and a new page will open. This is for the YouTubers. The non-YouTube version is at the bottom of the home page. Unit One is our popular, one bedroom suite with full kitchen and sitting area. For rates and dates, and to view more Unit One photos, click the image above. 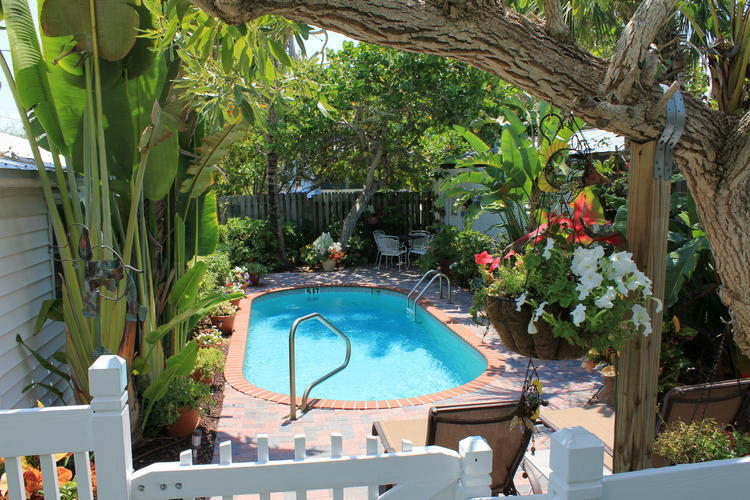 This efficiency is an Anchor Inn favorite that offers direct access to the tropical plunge pool from the adjoining deck - a great place to soak up a little (or a lot) Florida sun. Full kitchen and bath. For rates and dates - and to view our Unit 2 slideshow - click the image above. Units 3 and 4 are the Anchor Inn's two-bedroom "townhouse" accommodations, perfect for a family or to be shared by couples. Full kitchen, wrap-around porch and direct access to the tropical plunge pool. One of Boca Grande's best values. For rates and dates, and to view our Unit 3 slideshow, click the image. Units 3 and 4 are the Anchor Inn's two-bedroom "townhouse" accommodations, perfect for a family or to be shared by couples. Full kitchen, wrap-around porch and direct access to the tropical plunge pool. One of Boca Grande's best values. For rates and dates, and to view our Unit 4 slideshow, click the image. Boca Grande Fishing Guides Assn. All rights reserved. Copyright The Anchor Inn. Awesome Inc. theme. Powered by Blogger.